FREE delivery to United Kingdom in 16 - 18 weeks. Rockwell Group took inspiration for the collection, part of Stellar Works’ Collaboration series, from the roots of the word “valet,” but reinterpreted it for the 21st century – this crafted, unique furniture accommodates the narrative of our lives today. 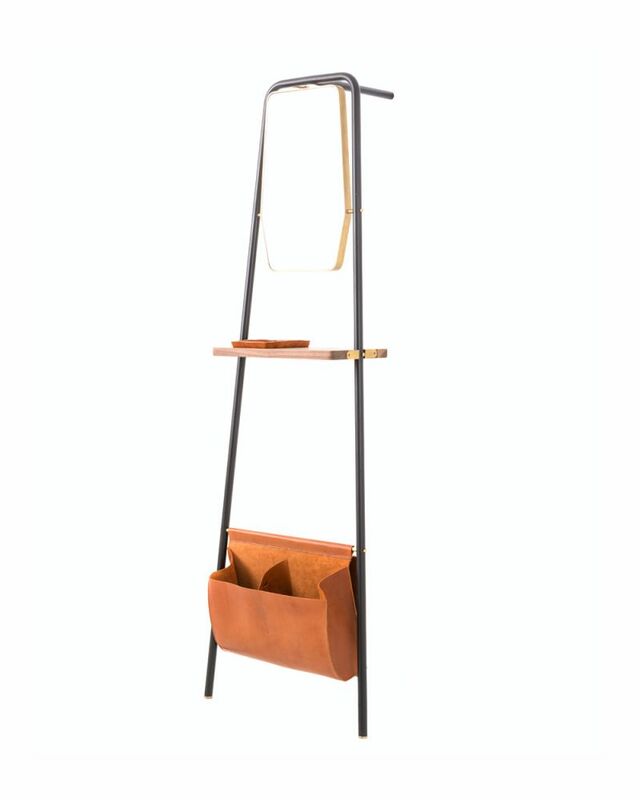 From lounge seating to customizable shelving, each of the 14 pieces in the collection has a streamlined functionality – luxurious embellishments, from leather cords to matte brass hardware, double as subtle tools for living well. Grouped together in endless combinations, the pieces help create natural transitions in the home or hospitality setting, from entry, to work, to play.